édité le 15/01/2016 - Plus de news de "CHEVRON" - Voir la fiche entreprise de "CHEVRON"
Chevron Australia Pty Ltd advised it has commenced the cool-down of the liquefied natural gas (LNG) export system, following the recent arrival of a commissioning LNG cargo at the Chevron-operated Gorgon natural gas plant on Barrow Island, Western Australia. The Chevron-operated LNG vessel, Asia Excellence, delivered the commissioning cargo to cool-down the LNG storage and loading facilities ahead of the first LNG export cargo planned in early 2016. “Gorgon will be a long-term supplier of natural gas to our customers in the Asia-Pacific region and in Australia, delivering energy security as well as significant long-term economic benefits to Australia for decades to come,” said Krzywosinski. Chevron is developing the Gorgon and Jansz-Io gas fields, located within the Greater Gorgon area, between 130 and 220 kilometres off the northwest coast of Western Australia. It includes the construction of a 15.6 million tonne per annum (MTPA) LNG plant on Barrow Island and a domestic gas plant with the capacity to supply 300 terajoules of gas per day to Western Australia. Gorgon LNG will be off-loaded via a 2.1-kilometre loading jetty for transport to international customers. The domestic gas will be piped to customers on the Western Australian mainland. LNG is natural gas that has been cooled to -162 degrees Celsius (-260°F), the point where it condenses to a liquid. Liquefaction reduces the volume by approximately 600 times, making it more economical to transport between continents in specially designed ocean vessels. The Chevron operated Gorgon Project is a joint venture between the Australian subsidiaries of Chevron (47.3 percent), ExxonMobil (25 percent), Shell (25 percent), Osaka Gas (1.25 percent), Tokyo Gas (1 percent) and Chubu Electric Power (0.417 percent). 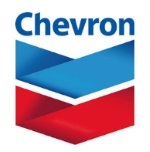 Chevron is one of the world's leading integrated energy companies and through its Australian subsidiaries, has been present in Australia for more than 60 years. With the ingenuity and commitment of thousands of workers, Chevron Australia leads the development of the Gorgon and Wheatstone natural gas projects; manages its equal one-sixth interest in the North West Shelf Venture; operates Australia’s largest onshore oilfield on Barrow Island, is a significant investor in exploration offshore Australia and provides operational support to exploration assets operated by its affiliates in New Zealand.